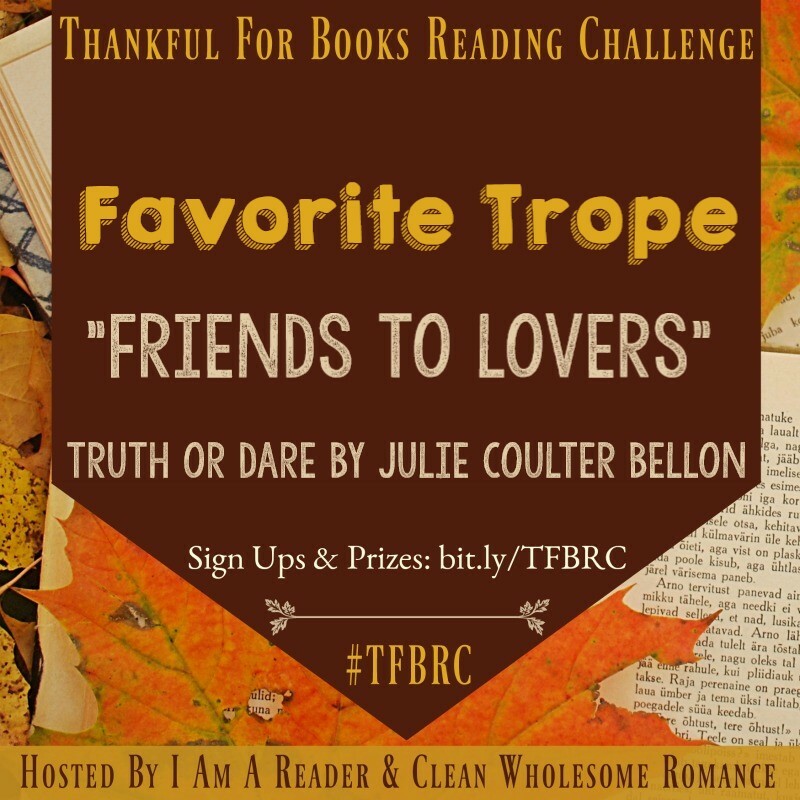 12 Days of Clean Romance: Author Julie Coulter Bellon, Sale & Giveaway! When the most wanted terrorist in the world escapes from a high security prison, Nate Hughes is part of the task force sent to recapture him. During the mission, he meets Abby, a fellow investigator that seems to have it all together. He's drawn to her and hopes they can join forces, but when her past is revealed, loyalties are called into question. Could she have turned against the country she once held dear? The CIA wants her captured and interrogated, but with a terrorist attack imminent, Abby may be the only person in a position to help them stop it. Nate must make a choice to either trust her or turn her in---but the wrong decision would clear the path for the largest attack on freedom the world has ever seen. And time is running out. The lights were off, but a little sunshine filtered through the two high windows in the room. He peered inside, his weapon at the ready. He hadn’t expected to see a place that looked like something straight out of a luxury hotel with white linens, cream-colored couches, and pillows everywhere. Abby was curled up in the middle of the large four poster bed, her eyes closed. Her breaths weren’t even, though. Not only was she not very good at the quiet game, she was terrible at playing possum. 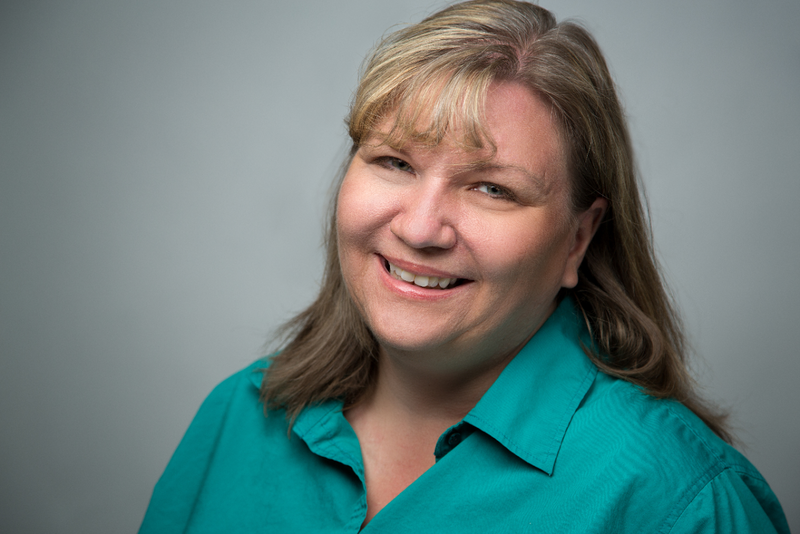 Julie Coulter Bellon is the author of nearly two dozen romantic suspense books. Her books All Fall Down won the RONE award for Best Suspense, The Capture was a Whitney finalist for Best Suspense/Mystery, and Pocket Full of Posies won a RONE Honorable Mention for Best Suspense. Julie loves to travel and her favorite cities she's visited so far are probably Athens, Paris, Ottawa, and London. In her free time she loves to read, write, teach, watch Hawaii Five-O, and eat Canadian chocolate. Not necessarily in that order. I love this story! It's one of my favorite novellas to re-read. There's just something about how Jonah and Kami lift each other and have that foundation of friendship to build on. The chemistry is amazing, the banter is fun, and the overall theme of hope in adversity is one that leaves me with a smile on my face. 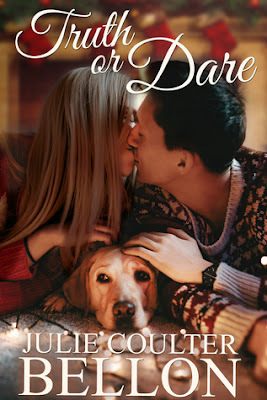 I *love* that the author added more chapters for its release as a single title (originally it was published in A Timeless Romance Anthology: Under the Mistletoe Collection). It was so exciting to see their relationship progress past that first night and blossom with more experiences and challenges together. 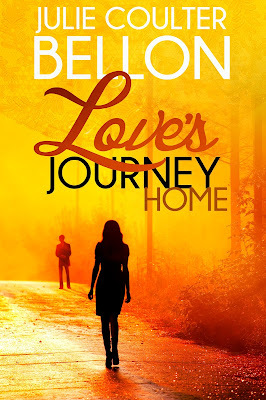 Julie Coulter Bellon is the author of more than a dozen novels---all with some romance in them, some with suspense, too. Her book All Fall Down won the RONE award for Best Suspense and Pocket Full of Posies won a RONE Honorable Mention for Best Suspense. 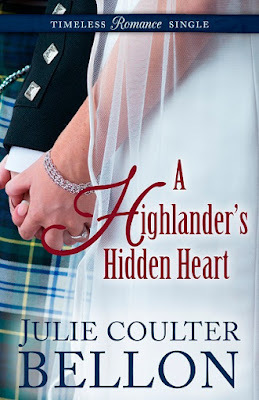 Giveaway from Julie Coulter Bellon: 3 prizes, 3 winners! 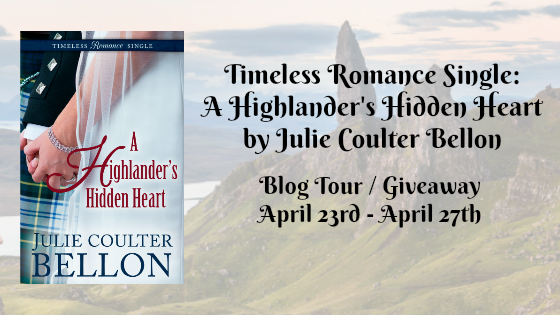 Romance is in the Air: Author Julie Coulter Bellon & Giveaway! Olivia Dalton has a reputation in the DA’s office---tough, thorough, and fierce when she’s closing a case. Those skills are essential in the courtroom, but not in the relationship department---until Mick Donovan crosses her path. Everyone thinks he’s a player, but when an unexpected situation arises, she glimpses an honorable man instead. Olivia is drawn to him, but he pushes her away, unable to shake the past that still haunts him. Mick Donovan learned at a young age never to let anyone close because those you love never stay. Keeping people at arms-length has never been hard for him---until he meets Olivia Dalton. Mick is caught up in a case she’s prosecuting, and he can’t deny his attraction to her, but when she uncovers the past he’s kept carefully hidden, he’s sure she’ll turn away. Yet, even with all his secrets in the open, Olivia reaches out. Can he let his guard down long enough to let her in and take a chance on love? Giveaway Details $25 Amazon Gift Card or Paypal Cash Giveaway Ends 3/5/18 Open only to those who can legally enter, receive and use an Amazon.com Gift Code or Paypal Cash. Winning Entry will be verified prior to prize being awarded. No purchase necessary. You must be 18 or older to enter or have your parent enter for you. The winner will be chosen by rafflecopter and announced here as well as emailed and will have 48 hours to respond or a new winner will be chosen. This giveaway is in no way associated with Facebook, Twitter, Rafflecopter or any other entity unless otherwise specified. The number of eligible entries received determines the odds of winning. 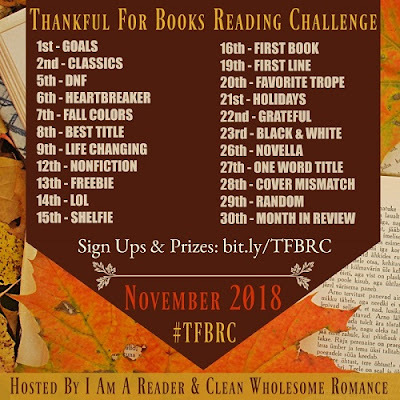 Giveaway was organized by Kathy from I Am A Reader and sponsored by the author. VOID WHERE PROHIBITED BY LAW.